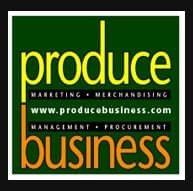 The produce industry offers a rich and rewarding career path along with industry-specific executive challenges. As a young professional starting out in this ever-evolving industry, or a senior executive transferred from another industry, it is important to have produce industry knowledge, support and mentorship. The Cornell University Future-Leaders-In-Produce Program was crafted specifically for produce industry executives with less than 5 years’ experience to fill a void of educational opportunities for this group of produce professionals. We invite you to join us December 10th for this career-building 1-day overview and educational immersion into the structure and operations of the produce industry, including topics such as food system economics, product and information flows, consumer and competitive trends and other critical industry issues.